Students plan to stand up when Pence begins speaking and quietly leave the ceremony. Fifty to 100 people could walk out on Sunday, student organizers say. Protesters are using the hashtag #WalkOutND to bring attention to the protest on social media. Frankly, this is just silly. Sitting there while the vice president delivers his speech doesn’t mean that you are endorsing the policies of the Trump agenda. This isn’t a political speech, or at least it shouldn’t be. If political commentary does trickle in, it’s because progressive students have become so incorrigible regarding freedom of speech and expression in campuses across the country that it warrants a comment. Again, I hope it doesn’t veer in that direction. College addresses are usually dry, an introduction into the real world, where there are no safe spaces, speech codes, and where free speech is honored. These snowflakes are going to find out quickly that the real world finds their views to be nothing short of insane if not an outright joke. So, walk out of the speech if you want. It’s unseemly, but it’s you’re right to do so. 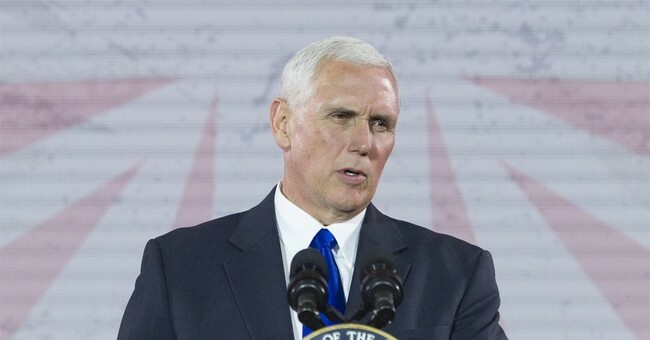 In all likelihood, Mr. Pence will congratulate you, wish you well in your future endeavors, and will hope for the best for you as enter the real world as adults once this day is over. Mr. Obama was heckled during the 2009 commencement at Notre Dame. That was outrageous as well. Frankly, today is a day to celebrate graduating, being with friends and family, and looking to the future. Fighting the Trump agenda, if that’s what you want to do, can wait. Just enjoy yourselves. If Pence speaking truly ruins your day, you’ll never survive out here.